THE GOURMET MARSHMALLOW WITHOUT THE GOURMET PRICE! Finally a Gluten Free Graham that doesn't taste like cardboard! - If you dream of Mint, this is your Mallow. Andies Candies and Grasshopper Fudge Cookies in a White Mint Marshmallow. - Our Mint Marshmallow fully loaded with Oreo Cookies! Scrum-Minty-umptious! Peanut Butter Hot Cocoa! Like drinking a Reese's! Single Packs now available. Five businesses carry us in their stores! Find out where in the "Order Here" tab. 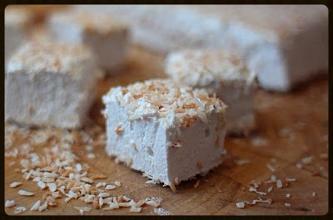 Let us introduce you to a new way of thinking about marshmallows! No longer are they simply for s'mores or hot chocolate--oh no, not anymore. This is your new snack option! 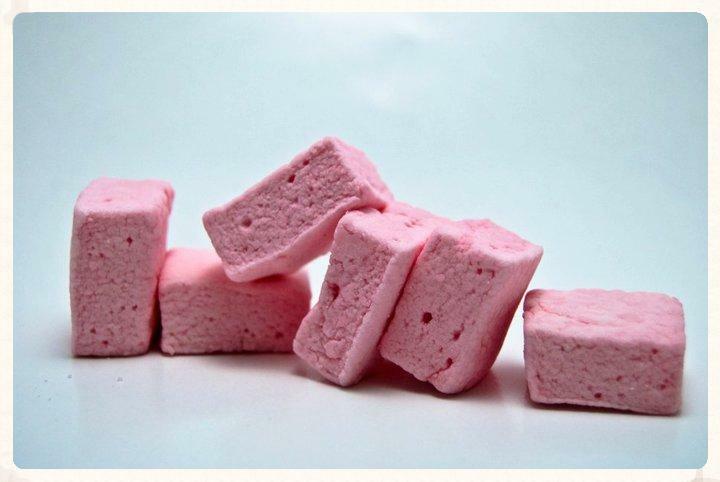 Each 1x1 inch marshmallow is around 30 calories, but it feels like bite-sized heaven. They are amazingly soft, melt-in-your-mouth good, and versatile as well! These marshmallows are like no other! We are very sensitive to those who may have allergies. These are prepared in a licensed/commercial kitchen. We use shared equipment that may also process gluten, nuts of all types, soy, milk, eggs, and cocoa. If you have allergies please contact us before ordering. Photos in this website are courtesy of Google Images, Jazzed Up Marshmallows and Kate Barr Photography: all protections are within each image.